The standard bar set up bring an gorgeous and classic look to your event. 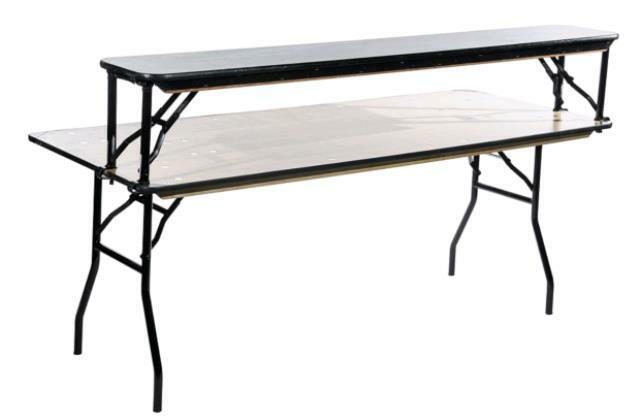 It comes with a 6' rectangular table, straight bar top, and your choice of either black, white, or ivory bar skirt. * Please call us for any questions on our bar straight top 6 foot in Concord, serving all of New Hampshire, including Manchester, Canterbury, Loudon, Hillsboro, and Northwood.